Join us for these amazing happenings both inside the conference (for attendees) and around the Twin Cities (all welcome)! 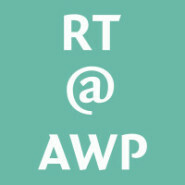 Rain Taxi is proud to be an AWP Literary Partner. rt@20: Rain Taxi 20th Anniversary Bash! 5-9 pm: Free Gallery Admission throughout the Walker Art Center, plus a 15% discount in the Walker Shop—show your AWP badge! 5-9 pm: Screenings of Basil King: Mirage, every half hour, Lecture Room, Free. Basil King will appear and sign books at 5:30. 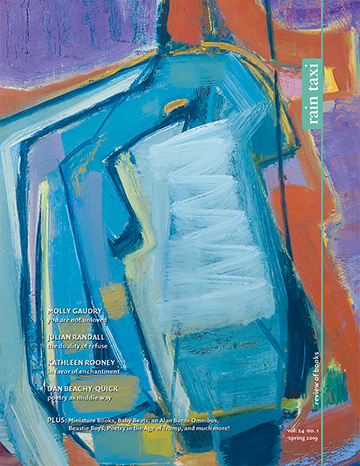 6:30 pm: Minnesota Expatriates Poetry Reading, Walker Cinema, Free. The poets will sign books in Bazinet Lobby at 7:20. 8:00 pm: Free Verse “Greatest Hits” Poetry Reading, Walker Cinema, Tickets $10 ($8 Walker members); book signing to follow. 9-11 pm: Rain Taxi's 20th Anniversary Drinks Party, all welcome! Cargill Lounge, Free. Join us as writers from near and far pay tribute to Minneapolis-based songwriter Grant Hart and seminal band Hüsker Dü. (See link above for list of participating writers.) Then we’ll have a short conversation with Grant Hart about his critically acclaimed concept album The Argument, which is based on William S. Burroughs’s treatment of Paradise Lost. The evening will conclude with a set of music by Grant Hart; local brews, snacks, and swag will be on hand throughout for this special, not to be missed event! Tickets for this event are $10. Advance ticket sales online have concluded, but you may purchase tickets at the Rain Taxi Booth (701) in the AWP Book Fair, or at the door. Join us for a Book Release Party like no other, celebrating Frank Stanford's What About This: Collected Poems (Copper Canyon Press) and a special edition of Stanfordiana titled Hidden Water (Third Man Books). All-star readers TBA, plus music by Merge recording artist William Tyler and DJ Ben Swank (co-founder of Third Man Records). Close down your AWP experience with a night to remember! This entry was posted in Uncategorized on February 2, 2015 by Kelly.